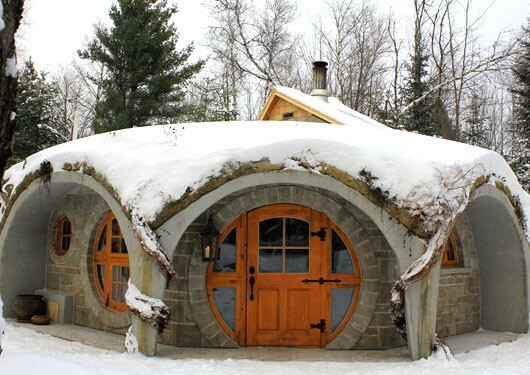 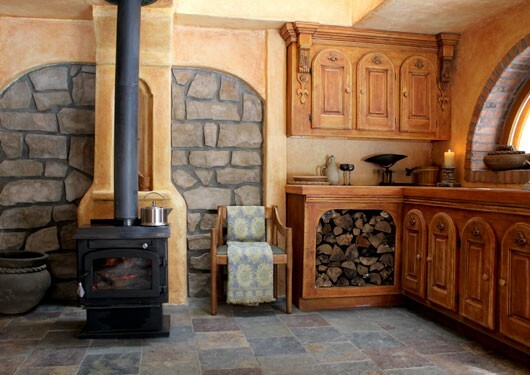 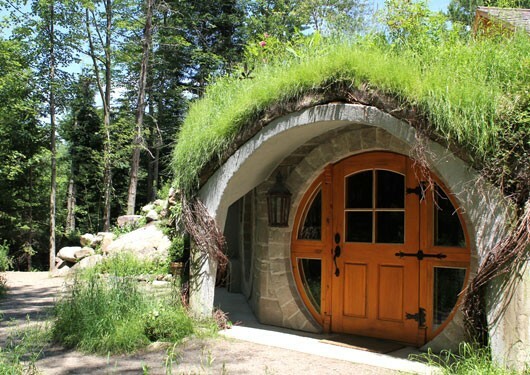 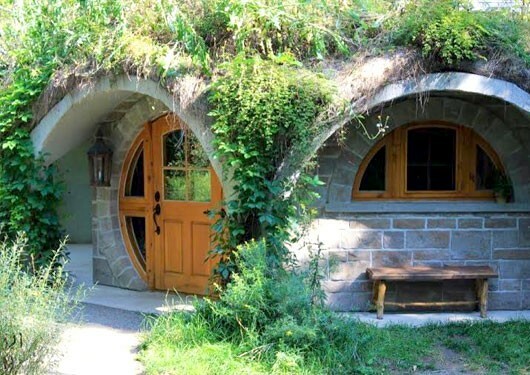 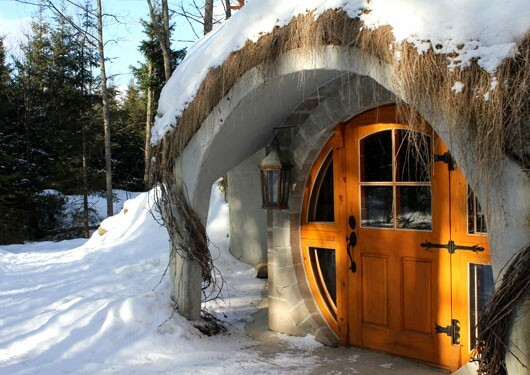 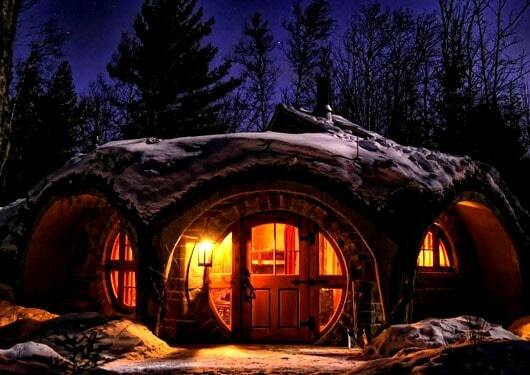 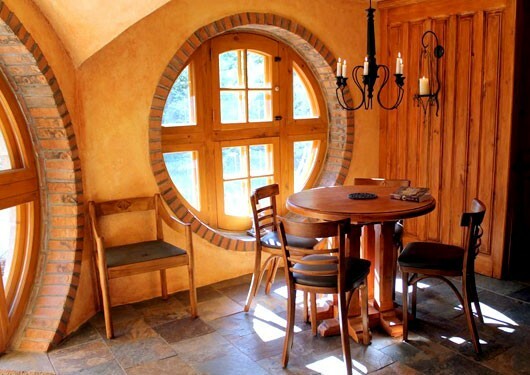 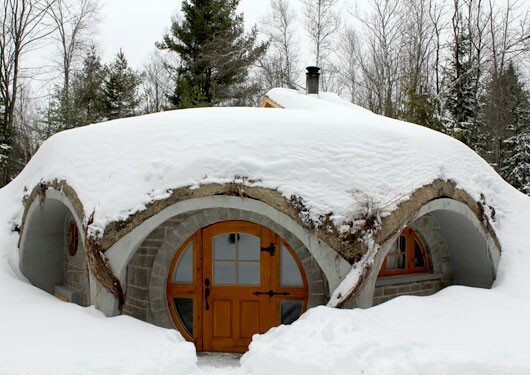 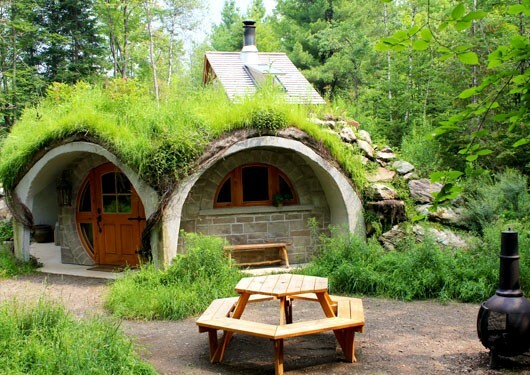 This lodge is the first underground dwelling available for rent in Québec. 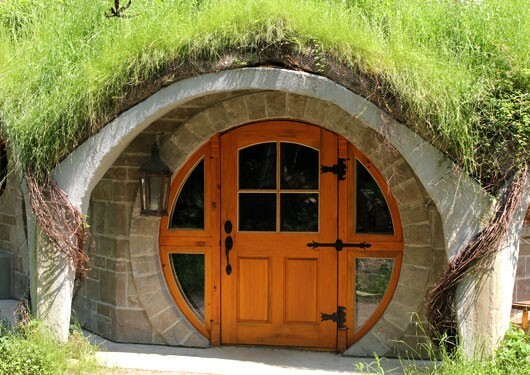 The Hobbit is inspired by J. R. R. Tolkien fantasy world of the Lord of the Rings. 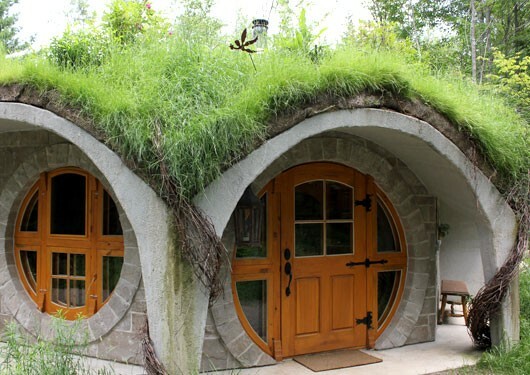 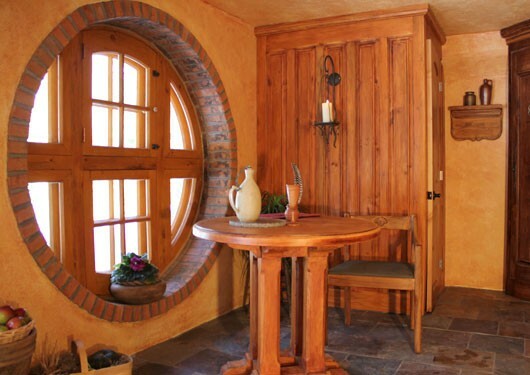 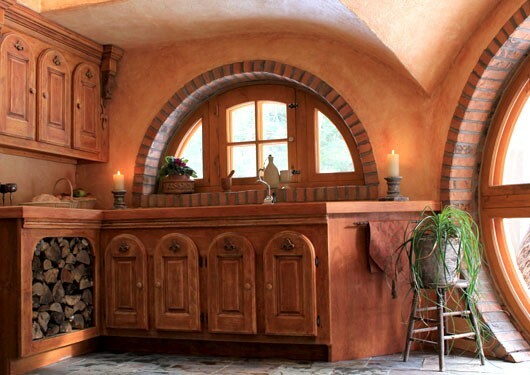 With its circular door and windows, green roof and interior decor of wood and stone, this ecolodge has everything needed to accommodate a small family (4 people). 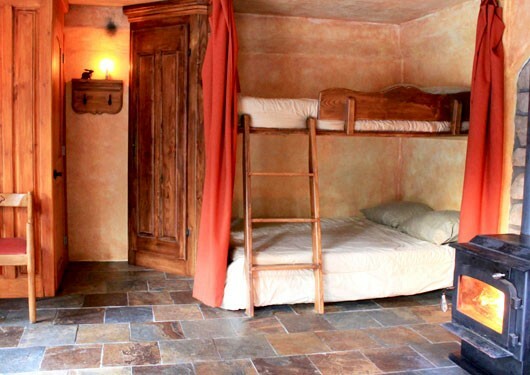 The dining area, kitchenette and bedroom (with double bunk beds) are set in one large room.